At Napolitano Roofing, we understand the kind of abuse your home endures from the elements and other outdoor threats. Day in and day out, your property protects what’s important to you so we’re here in Manchester, CT to make sure that you roof thoroughly lasts, starting with a durable roofing system. 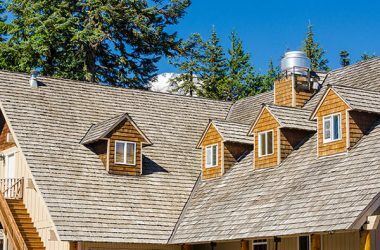 Aside from specializing in resolving roofing problems, Napolitano Roofing is also highly experienced with dealing with other issues plaguing your home. We know it’s not easy caring for your property but you can trust us to lend a hand, providing you with the services you need to keep your home in its best possible shape. We know that no two homes will ever require exactly the same things so Napolitano Roofing takes a personalized approach when it comes to providing you with recommendations, guaranteeing you are presented with solutions that specifically address your needs. Since Day 1, Napolitano Roofing has been committed to offering only the best products and services around. Licensed and insured, we draw on more than 10 years of experience to address your roofing needs and more, ensuring all customer requirements are met on time and on budget. Thanks to our honest approach to dealing with our customers, we are proud to say that we are the preferred choice for many when it comes to roofing repair, installation, and maintenance. Let Us Know What You Need! Contact Us Today! At Napolitano Roofing, you come first. To learn more about our services in Manchester, CT, just give Napolitano Roofing a call today at (860) 519-4900 and we’ll gladly discuss what we can do for you and your home. Can’t get in touch with us by phone? No problem! We also have an online form you can use to contact us and request a FREE estimate.